How To Solve Relationship Problems With A Jedi Mind TrickAwesome Mind Secrets! In this short article you too will learn how to solve relationship problems with a jedi mind trick. Relationship problems stem from miscommunication. With the stress and fast pace of modern living this is inevitable. However there are certain time-tested strategies that help you solve relationship problems. As you read on you will discover the same communication secrets as used by Gandhi in his conflict resolutions, what exceptional therapists and coaches do naturally to gain deep empathy, insight and understanding and what the Buddha taught extensively for developing deep love and compassion. Wouldn’t you agree that in any interaction between two people there are two points of view, right? Well, yes, that’s true and there is also a third point of view: Imagining the two of you over there interacting with each other. Seeing the situation through your own eyes. You are primarily aware of your own thoughts and feelings. Imagining what it is like to be the another person in the interaction. Imagine stepping into their body, seeing through their eyes, hearing through their ears, feeling their feelings and thinking their thoughts. Take a detached viewpoint. Imagine you are looking at yourself and the other people in the situation, ‘over there’. Try different ‘camera angles’ to gain new understandings. You could also take the perceptual position of God, Infinite Intelligence etc. for an interesting angle. You actually shift between these points of view already at an unconscious level, but with conscious intent and practice you can learn how to solve relationship problems more quickly by gaining empathy, insight and rapport with the other person. Have you ever had the experience of being in an argument with someone and found yourself dumbfounded by the other persons reaction? Go ahead and think about one of those situations now and run through the following ‘Jedi Mind Trick.’ I think you might be surprised by what revelations come up! Now run through this situation from 1st Position. This means looking at the situation through your own eyes and hearing through your own ears. Notice your feelings and any thoughts you have about it. Next step inside one of the other people present (2nd Position). Literally imagine being in their body looking out of their eyes. So of course you will be able to see yourself. Notice your feelings as you see and hear from this perspective. Become aware of any new learning’s! Now move to 3rd position. Remember this is the ‘neutral position.’ It’s kind of as if you are a camera observing everything. See/hear yourself and the others and notice any new learning’s you can observe. NOTE: If you enjoyed this ‘thought experiment’ you would probably enjoy my Neuro-Linguistic-Programming (NLP) Guide which covers this method and more. If you’ve gone through the process you’ll have new insights into yourself and you will have a better understanding of others too. Sometimes this technique can be quite a revelation, seeing yourself as others see you enables you to change your behaviour to something more appropriate if necessary. Keep in mind – If you want another person to change, it’s better and easier to change your own behaviour! 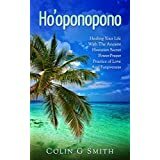 This entry was posted in Happiness, NLP, Relationships, Self Image & Self Esteem, Shamanism, Uncategorized and tagged Better Communication, Communication skills, creative thinking exercises, happiness, How To Solve Relationship Problems, imagination, jedi mind trick, nlp, problem solving, Solve Relationship Problems. Bookmark the permalink.